According to Greek Parliamentary rules, for a political party to be recognised as a parliamentary group it must have five MPs elected on its ticket. 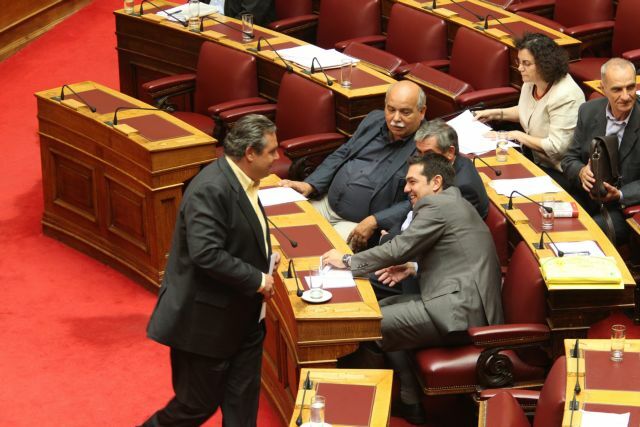 The change directly affects the government’s former junior coalition partner, Independent Greeks leader Panos Kammenos, who is about to lose his fifth MP, Thanasis Papachristopoulos, who intends to declare himself independent and possibly run on SYRIZA’s ticket. , including when and for how long they can address Parliament. The revision would also determine other practical and institutional rights, including payment of the party leaders’ staff salaries and the number of policemen in their security detail.